When the ghee melts and gets warm, add suji. Add milk and raisins. Stir and bring the milk to a gentle simmer. Add sugar and stir. Simmer for another couple of minutes. 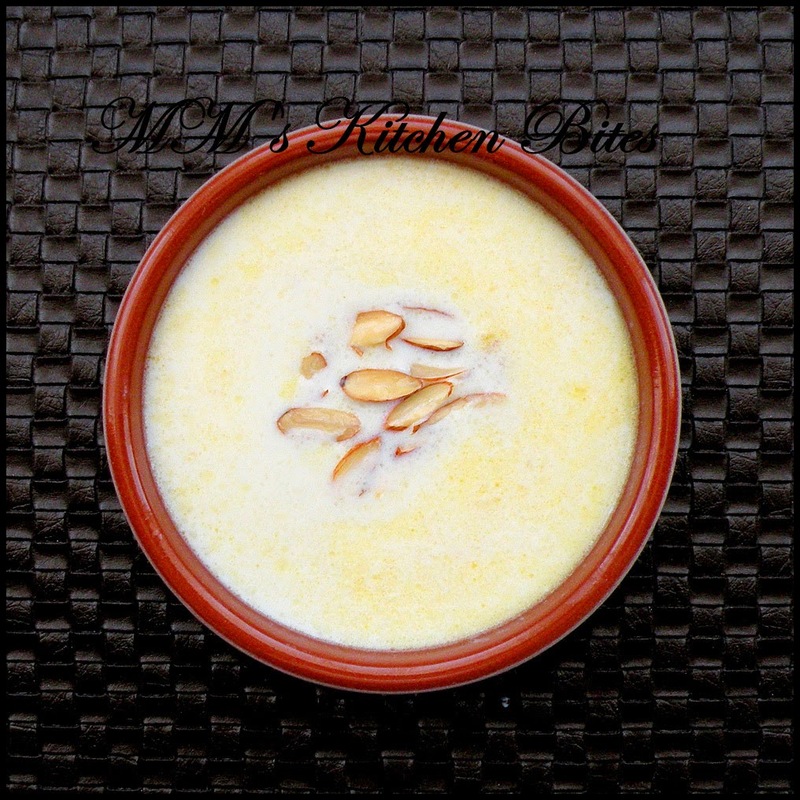 Switch of the heat and sprinkle almonds. The consistency is slightly thinner than custard. If you want a thicker consistency, increase the suji to 1 ½ tbsp and let the milk simmer for additional 5-6 minutes.